One of my absolute favorite makeup items has to be lip products. I love how just a simple wash of color on your lips can transform your entire look. Of course, it’s important to master the art of applying lip products to give you your best lips possible. And today, I’m going to be showing you just that in a step by step tutorial! Make sure to exfoliate your lips well before applying any lip product for the best application. 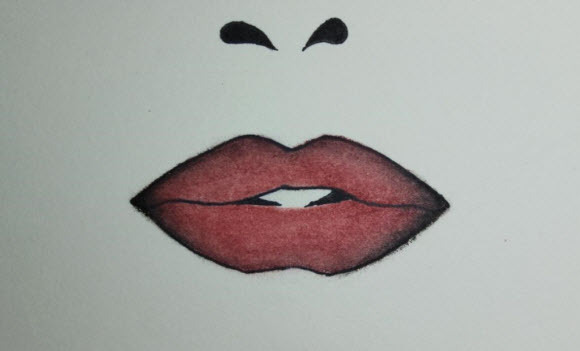 Next you’ll want to matte out the color of your lips so your lipstick color pops even more. You can do this with either left over foundation on your makeup brush or a lip primer. 2. 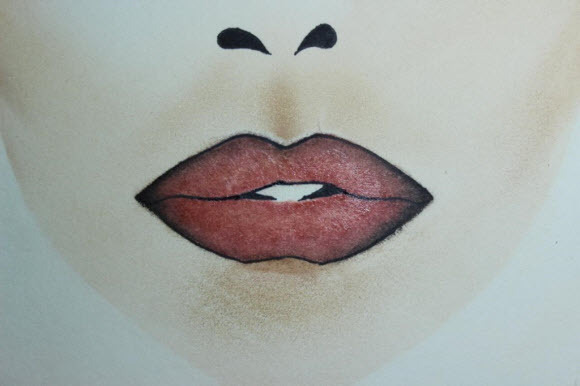 Outline your lips with a lip liner that matches your lip color. This allows you to get the sharpest edge as well as prevent the color from bleeding. You’ll want to fade the liner towards the center of your lips. 3. 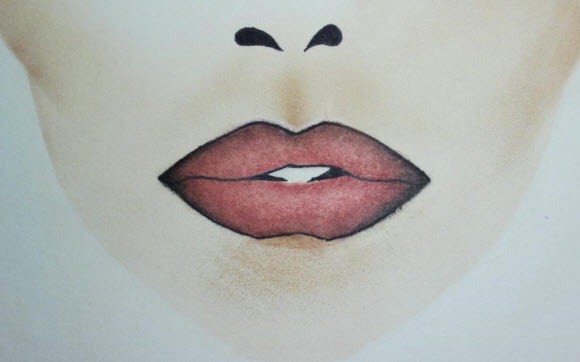 Add a darker shade of lip liner to the outer corners of the lips. This is going to add some dimension to your lip color and draw all the light to the center of your lips, giving you a larger pout. Here, I simply used a black eyeliner. The next step of course is to apply your lipstick. You’re going to want to blend the liner into the lipstick a bit, for a seamless application. 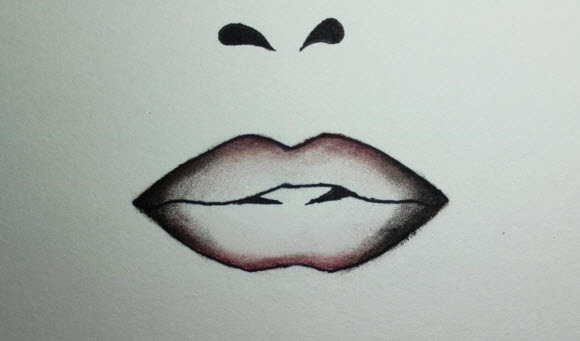 Just be sure to avoid bringing the darker colors to the inside of the lips. 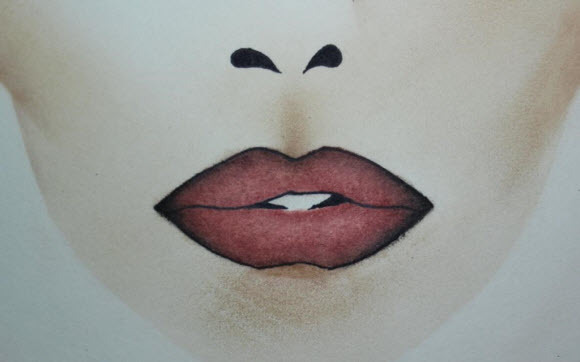 To add some more dimension to the lips, we’re going to play with light. First, take a powder a few shades darker than your skin tone (this could be a matte eye shadow) and shade it beneath your pout. This is going to emphasize the size of your bottom lip. 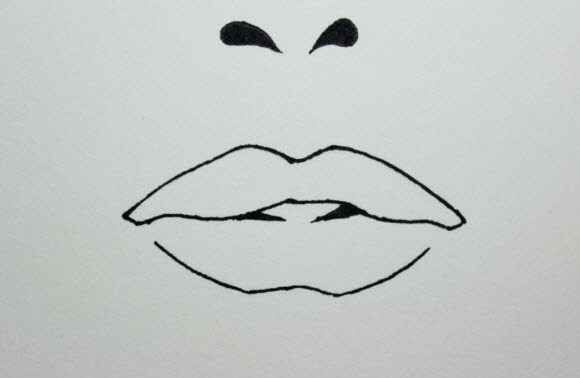 Add the same shading to the space between your cupid’s bow to make that appear larger as well. For even more definition, take a shimmery highlight color and lightly place it on the highest points of your cupid’s bow to make it more pronounced. The last step is to add a dab of clear gloss to the center of your lips to catch even more light. 8. Clean up the edges. 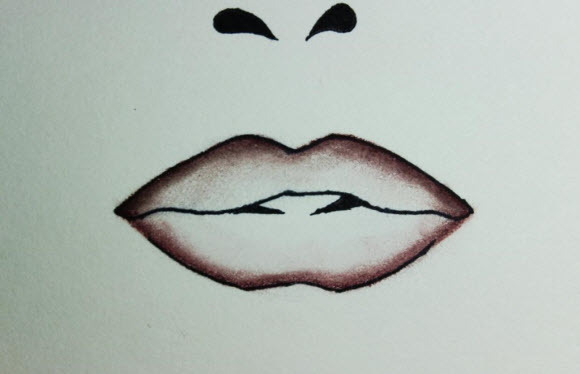 When you’re finished, clean up the edges of your lips with some concealer and your lips should look something like this. These tips work well with every color. Remember that dark shades add a shadow and light colors make things more pronounced. With these few tips, you can take your lips from bland to glam in just a few minutes!